I present to you here a view from the Coca-Cola London Eye. Broadly speaking, this is a view looking east and what you can see directly in the foreground is construction work going on in the South Bank area of the city. A black and view of London as seen from the London Eye, broadly speaking look East. I was astounded at the amount of construction work taking place. I think you’ll agree it makes for an interesting comparison with this very colourful picture which I took a few weeks ago of the same area at nighttime. It was fascinating being so high. it provided a totally different perspective and you could see just how much building work is taking place in the area. 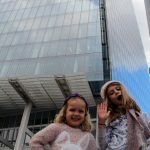 I’d taken Helen and Izzy to London for the day. 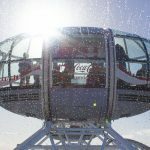 We’d specifically wanted to go to the Coca-Cola London Eye during half-term. As we were in the line to board, it started raining heavily. 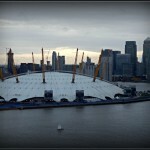 This was a bit disappointing as I’d been hoping to get some good photographs while we we so high above London. Thankfully the weather cleared up, but the skies remained very grey and the pod was streaked with rain water, which didn’t help when taking pictures. This was one of the better photographs I took but the skies were so grey I felt the picture worked a lot better when I flipped it to black and white! You can see some of London’s signature landmarks. To the right of the picture you can see No 1 Canada Square in Canary Wharf. To the left of that is the Shard while further to the left is the Walkie Talkie and the Leadenhall Building. Personally speaking, my eyes are drawn to the cranes and also the soft, swirling patterns in the clouds. I will be writing a more detailed review of our trip in a few weeks time as part of my role as a Merlin Annual Pass ambassador. 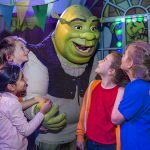 In the mean time, you can read about the other Merlin-operated attractions we’ve visited by reading this post about our trip to Madame Tussauds or this one about our trip to Shrek’s Adventure. 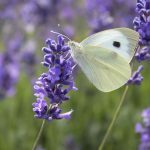 I will be adding this post to the weekly #MySundayPhoto linky hosted by the Photalife blog. It’s well worth visiting if you enjoy photography. Previous Post Sharing a bedroom: All good things come to an end. Next Post Mums Enterprise Roadshow. Dads encouraged to attend too! Fantastic photo that definitely works well in black and white. I can’t believe how many cranes there are! I never tire of looking at a London view, there’s always so much to see. I’ve not taken N on the London Eye – I’m not sure he’d get through the journey without moaning he was bored! Thanks Nigel. I thought black and white might do it justice. Fantastic view. I love bnw images and this works really well. Thanks Lewis, but I’d love to take a few Scottish landscape snaps truth be told! That’s quite a view from the top. I too was amazed at the amount of building going on in London at the moment. The amount of construction work going on is quite staggering. Just hope the economy can truly support it. Before I even read your caption it was the cranes that caught my eye too, it must be a good sign for the economy. You kinda hope it’s a good sign for the economy don’t you? the cranes certainly stand out. Yes, I know what you mean. Puts the Underground map into perspective. Thankfully the weatehr held off for me while I took that image. I think it works! It’s been a while since I’ve been on the London Eye, it definetly wasn’t Coca Cola branded when I visited. To say it wasn’t perfect conditions your photo has come out great. 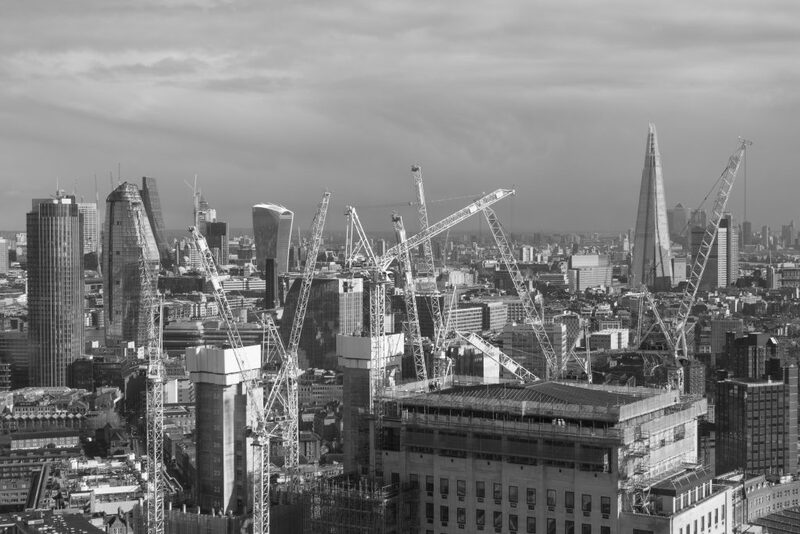 Love the black and white, it defintely adds to the ‘concrete’ nature of the subject and yeah, so many cranes! Ah man, so much concrete flowing around that city right now. You only truly appreciate it from that height I think too. The London skyline rarely disappoints! Glad you liked the image’s atmosphere Victoria. Yeah, the weather could have been a little kinder to us, but c’est la vie. Got a few nice images anyway. Great view and I like it in black and white. Thanks, glad you like the black and white. It worked well with the clouds. Glad you think the black and white work. It was a close thing. I nearly didn’t the filter! I think takin the colour away just brings out so much of the detail in the skyline. One I’ve not noticed in this way before and even the cranes look like they belong! I hadn’t thought of it like that, but you’re right. the cranes do look like they belong don’t they? Great capture. We were down on the Southbank watching the cranes on Monday! Yeah, they’re very eye-catching aren’t they? Hope you enjoyed the South Bank. It does look spectacular in b&w and I would be terrified to take my photo gear up on a Ferris wheel. This photo has so much life, it’s almost as if it’s moving, suitable for framing, I’d hang it up in my living room. Very kind of you to say so. Perhaps I should do you a print?? It’s been a few years since I was last in London, and I have never been on the London Eye. This picture really messed with my sense of the layout of London, I actually had to bring up a map so that my brain was happy that it all made sense. I blame The Shard. Oh don’t worry too much. There’s still plenty of old in London. That said, the skyline has changed dramatically over recent years thanks to new building methods enabling high rises to go up on London’s clay soil. Oh so many cranes indeed. From this height you can see just how much construction is going on in London. I love the black and white – it really makes the cranes pop out, There certainly are a lot of them! Oh yes, there are loads of cranes. it was quite astounding looking across the city and seeing how many of them were at work.